It’s that time of the year again, Jeffrey Fashion Cares, the hottest and most fabulous LGBT charity event of the year, is happening next Monday (did you get your tickets yet?). Hosted on the Intrepid aircraft carrier and with a board packed with huge names, ranging from supermodels who have been working for nearly a decade to the season’s hottest faces, and an amazing range of items on auction from some of the biggest names & brands in fashion, it is one event that can’t be missed. As an official media sponsor we at models.com are very proud to be be supporting JFC and the many deserving charities they raise funds for including GMHC, Lambda Legal, the Point Foundation, and the Hetrick-Martin Institute, and we hope you do too! Jeffrey Kalinsky hosts the eighth annual JEFFREY FASHION CARES, a charity benefit featuring an auction and runway fashion show. TV star Nate Berkus joins Dan Rothmann, Todd Sears, and Chris Wile as an honorary co-chair this year. Jeffrey Fashion Cares has raised over $4 Million for major NYC AIDS charities over the past seven years and has become a highlight of the fashion and social season. The runway show will feature the best in Spring 2011 menswear from Jeffrey from designers including Lanvin, Balenciaga, and Gucci among others. Live auction hosted by Tash Perrin of Christie’s. any one can ID the models? 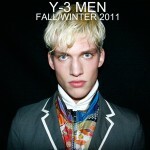 simon nessman, matthew coaltsworth, vincent laqroc, terron wood, NEXT?, NEXT?, Seijo, brian shimansky, NEXT? The first model (left, first box) is Simon Nessman! I love him! MUAH! 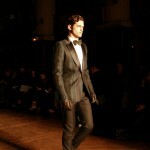 Patrik, it said PT.1 there is a lot of model doing this event, you will see him, he’s doing it! OMG @ Part 2 preview! Aaron O’Connell is a spectacular man, I love him. I am is Brasilian, but in my opinion SIMON NESSMAN is the BEST MODEL OF THE WORLD. SIMON NESSMAN THE BEST, THE BEST, THE BEST !!!!!!!!!!!!!!!!!!!! Excited to see the rest of the boys. Who’s that next to River Viiperi? I keep forgetting his name. Seth Kuhlman and Ryan Kennedy are—so far, my favorites. But everyone’s looking great. River Viiperi & Simon Nessman & Terron Wood!! I don’t like the rest actually. Is that Aj Abualrub I see in the video? ha I am just wishing, I know he’s not in it! the first few seconds of the video made me think i was watching an episode of the jersey shore. oh my gawd! i can eat ryan kennedy alive! OMG Matthew Coatsworth is SOOO good looking!! Look at those eyes!! Stunner. Soul Artist Management boys are all over, the best and all so special and great! OMG Thiago Santos *SCREAMS* This Epic! It was great seeing them in person. well…ok, Cole’s not new but…ugh he’s lovley.